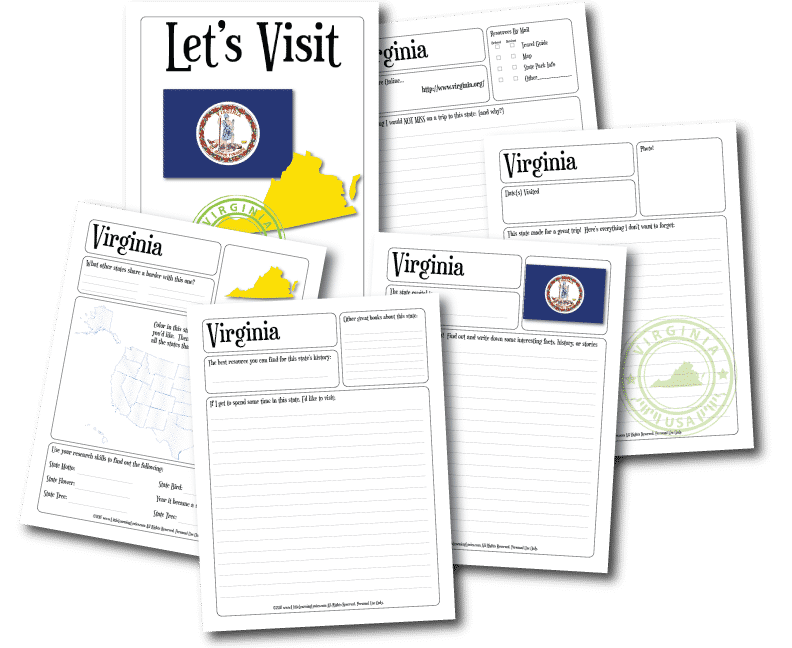 This Kids US Travel Planner and Journal is FUN! As you study each state through our US Geography Bundle, use this planner to learn more about each state. 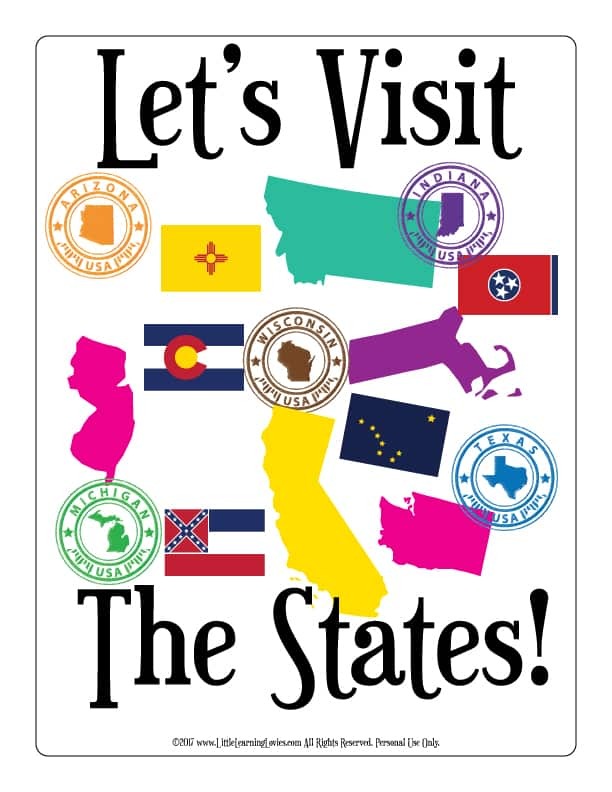 If you were able to visit this state, what would you want to make sure you see? Learn to research a little as you find the answers to questions about each state. Journal about your hopes for a trip there. And if you’re lucky enough to actually get to take your trip, use the journal to write down your experiences! Did you already buy our US Geography Bundle? Many of you have already purchased this bundle. If that’s you… Guess what? YOU GET THIS ADDITION FOR FREE! Just sign into your account, browse to your account history and download the new Kids US Travel Planner and Journal from your account! It’s just sitting there waiting for you. Don’t have our US Geography Bundle already?